The thing that strikes me most about Book of Bones is the wealth of knowledge held within its pages. Here is a book that wants to take us on journeys. From the poet’s beginnings: “Her Yorkshire vowels are horizontal…hard as millstone grit” (‘Stratified’), we go on to visit many parts of Britain, travel to different countries, and voyage back in time. A full-bodied Tempranillo to summon the “red and black and ochre” Spanish setting of ‘Woman to Woman’. Maybe a Sicilian Marsala to toast ‘Prince Edward’s Banished Lover’. A summer-sweet fruit punch would nicely match the “scent of orange blossom, raspberries, dew-damp Earth” of ‘Examined’. Perhaps a Gin and Tonic - with a heavy twist of lemon - to really taste the sharp final lines of ‘Provenance’: “Goering, finding his Vermeer/ was fake, was shocked, as if he’d just/ discovered there is evil in the world”. This wish for a variety of tastes is applauded in ‘Orientation’: “Don’t worry/ Home is always split/ between at least three different maps”. Yet, when I spend time with these poems, there is one particular location that never seems far from the mind. Wherever we go on this journey, ultimately, we seem to return to those Yorkshire roots: “…tooth enamel proves that you / were Yorkshire, faking Southern ways” (‘Book of Bones’). With this feeling, the place I truly imagine being over any other, is at the poet’s kitchen table, pouring over the words as though being shown the scrapbooks of these adventures, the albums of these pasts; a cup of strongly brewed tea in hand, the pot close by, ready to refill. 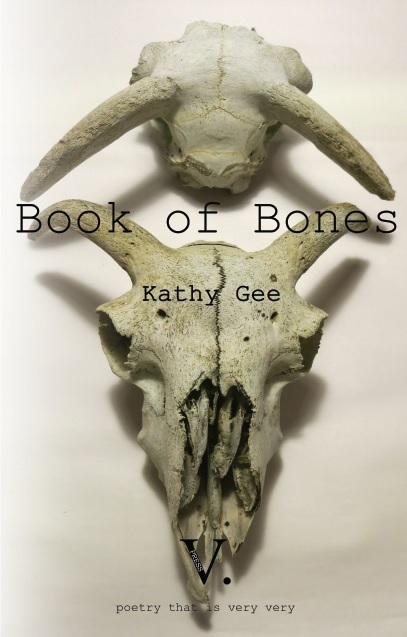 For a sample poem or to order a copy of Kathy Gee's Book of Bones, please click here. Or buy it now using the paypal link below. CLAIRE WALKER is a poet based in Worcestershire. Her poetry has appeared in numerous magazines and websites including The Interpreter’s House, Ink Sweat and Tears, Nutshells and Nuggets, And Other Poems and Snakeskin and has been in anthologies such as Crystal Voices and three drops from a cauldron. 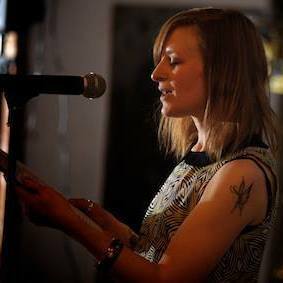 She often reads at spoken word events and was runner up in the 2014/2015 Worcestershire Poet Laureate Competition. 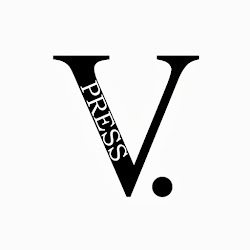 The Girl Who Grew Into a Crocodile is her first poetry pamphlet and published by V. Press in October 2015.